18 May 2014 Athens International Museum Day. Every year since 1977 International Museum Day is organised worldwide around May 18. This day is an occasion to raise awareness on how important museums are in the development of society. Faliro is preparing to become much greener as well. The city will now “be united” with the sea through walkways/piers, together with a state-of-the-art Cultural Center serving as the main attraction. The Acropolis Museum gives visitors the opportunity to participate in presentations of selected exhibits held by Archaeologist–Hosts. Additionally, Archaeologist-Hosts are available to answer your questions about the Museum exhibits every day between 9:00 a.m. and 5:00 p.m. Visitors can find them by looking for staff wearing ‘archaeologist’ badges in the Museum exhibition areas. Permanent Gallery Talks are offered in English, in French and in Greek. Rethink Athens: Architectural transformation of the city center in 2016! If you are already one of those people who can’t get enough of Athens, just wait and see what the new city center will look like after it is completely redesigned, as promised by the Rethink Athens Competition. It towered over the area for many years while lying in a state of abandonment. Afterwards, when it was being reconstructed, it towered over the area while covered in tarp. In any case, the “old FIX brewery” – a signature example of post-WWII modernism, designed by the innovative architect Takis Zenetos (1926-1977), which accentuated the horizontal dimension of the building that runs parallel to Syngrou and Kallirois Avenues through the use of linear horizontal glass windows – always stood out. Due to its location, situated between two of the city’s main streets, as well as its girth, this building could never go by unnoticed. For the people of Athens, it served as the most famous abandoned building in the city for decades, with most attributing to it the rather insignificant role of reminding them where to turn in order to reach the district of Neos Kosmos. 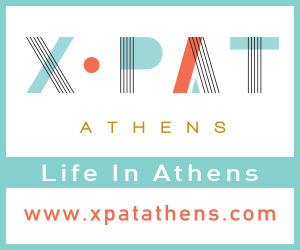 A noteworthy initiative coming from the Municipality of Athens promises to get you acquainted with the Athenian landmarks for free, provided you book in advance so as to ensure availability. The first tour of the current month was booked for Saturday 5th October 2013. The “Aiolou Street Stroll”, guided by Stella Galanopoulou, inaugurated the free tours’ autumn schedule allowing interested citizens to familiarize themselves, free of charge, with the rich culture, the history and the key spots of Athens assisted by professional tour guides. The community of Greek museums will celebrate International Museum Day on May 18. The Acropolis of Athens virtual tour is an interactive website that allows various aspects of the historical site to be explored in a unique way.